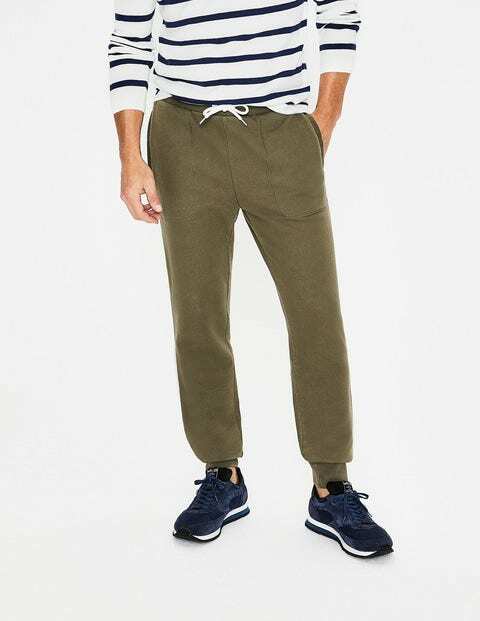 Every gent needs some joggers for those days when lounging is at the top of his agenda. Relaxing doesn’t mean slacking on style though – this pair comes with a sleek, modern cut and ribbing on the cuffs. The outside world will see that premium cotton loopback fabric, but only you will know about the soft, comfortable jersey we put on the inside.